CBS planned to premiere this forgotten sitcom in September 1955 but pulled it at the last minute. Six completed episodes were tossed and a new producer brought on board. After two more delays, the show finally hit the air in June 1956. 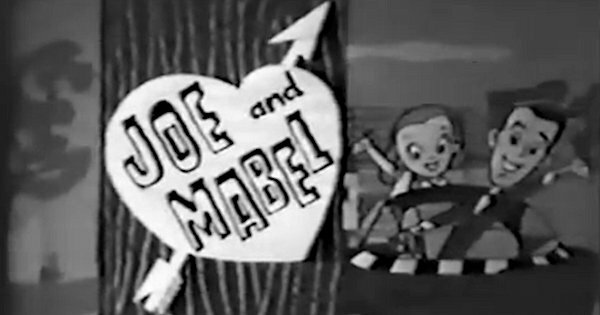 At 10:30PM ET on Thursday, February 13th, 1941, “Joe and Mabel” premiered over the airwaves on the NBC radio network (specifically the Red Network) . 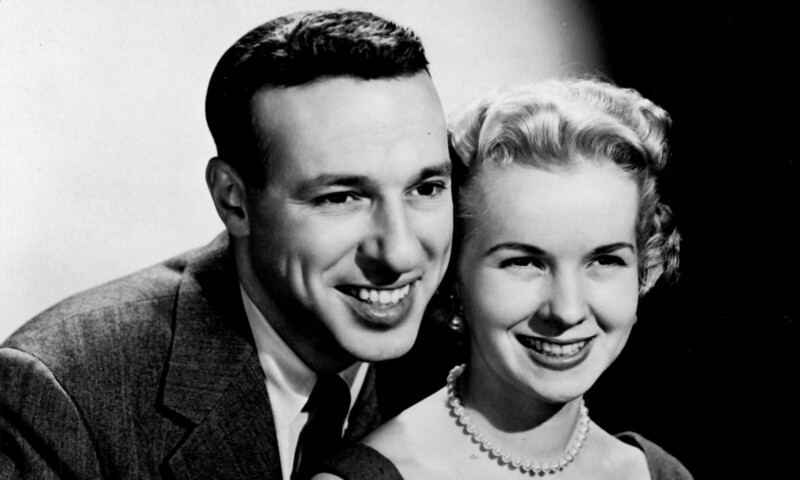 A half hour comedy show written by Irving Gaynor Nieman, “Joe and Mabel” followed the adventures of a cabbie and his girlfriend and their friends and family. Ted de Corsia voiced Joe and Ann Thomas voiced Mabel. Rounding out the cast were Walter Kinsella, Jackie Grimes and Betty Garde . “Joe and Mabel” would move to Sunday afternoons by March 1941 and later Sunday evenings. Listening to “Joe and Mabel” on WEAF last Sunday night, a good many others must have felt, as I did, more than a little sad at the announcement that this was its last performance and must have hoped that it will not be too long before the story of the Brooklyn taxi driver and his girl friend returns to the air. “Joe and Mabel” never returned to radio. 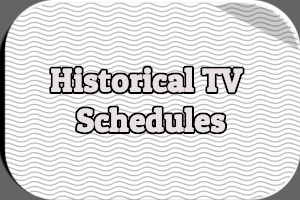 But in May 1955, it was announced that CBS had plans to introduce a television version as part of its 1955-1956 schedule . According to The New York Times, Paul Bogart would produce the series, which would begin filming at the Bedford Park Film Studio in New York City during the summer of 1955 . Joe and Mabel would star Larry Blyden and Nita Talbot as Joe Sparton and Mabel Spooner. As in the radio version, Joe was a taxi driver in New York City and Mabel was his girlfriend, a manicurist scheming to convince Joe to finally propose to her. Unfortunately, production on Joe and Mabel ran into trouble when, on August 5th, the Screen Actors Guild went on strike. The guild wanted increased minimum pay for certain actors and money for second runs of filmed programs (at the time, actors only received money for the third through sixth runs) . According to The New York Times, a total of 43 filmed television programs were forced to shut down production due to the strike, including Joe and Mabel. At the time of the strike production was underway in New York City on four filmed programs, including Joe and Mabel, which was “only three weeks ahead in production” . The Phil Silvers Show, on the other hand, had 17 finished episodes while I Spy and The Goldbergs had six and seven, respectively. Nevertheless, it was expected that all four would “be able to go on the air in September, and would not be seriously affected for at least several weeks” . On August 8th, The New York Times reported that Joe and Mabel would premiere on Tuesday, September 20th at 9PM . On August 15th, the SAG strike ended. CBS previewed Joe and Mabel (along with You’ll Never Get Rich and Gunsmoke) in late August for critics over closed-circuit TV, introduced by Hubbell Robinson, CBS vice president . On September 19th, the day before Joe and Mabel was set to premiere, CBS announced that the show “has been postponed indefinitely” due to “an insufficient backlog of the half-hour films” . Carter Products, Inc. and Pharmaceuticals, Inc. — the sponsors for Joe and Mabel — would instead continue to sponsor Meet Millie; the sitcom, starring Elena Verdugo, premiered in 1952 and occupied the 9-9:30PM Tuesday time slot the previous season. 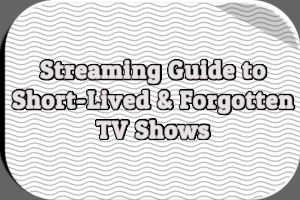 Some sources do indicate that the series premiered on that date (including Alex McNeil’s Total Television and Vincent Terrace’s The Complete Encyclopedia of Television Programs, 1947-1976, Volume I). Additionally, weekly television listings printed in The New York Times, The Chicago Daily Tribune and The Los Angeles Times on Sunday, September 18th (before CBS pulled the program) all show Joe and Mabel airing on Tuesday, September 20th. However, daily listings for in all three papers for Tuesday, September 20th (after CBS made its announcement) put Meet Millie in place of Joe and Mabel. In early October, Alex Gottlieb took over as producer on Joe and Mabel, replacing Paul Bogart . In order to “allow a new approach to the story,” any already completed episodes were thrown out when production began in early November with an eye towards a January debut . But Joe and Mabel wasn’t out of the woods yet. In late January, Jackie Gleason called a press conference to berate CBS for considering changes to its Saturday evening line-up . Gleason had a vested interest in Saturday on CBS: his own show, The Honeymooners and a variety show his company produced, Stage Show, were broadcast on Saturdays. According to Gleason, CBS wanted to either move Stage Show from 8:30PM to 9PM or replace it with Joe and Mabel: “They have a product, ‘Joe and Mabel,’ that they think to be very hot and they want to get it on. […] If that is their intention and if the irritation originates at C.B.S. they’re making a sad mistake because that’s not going to happen” . Reportedly, CBS also wanted to move Gleason’s The Honeymooners from 8:30PM to 8PM on Saturdays and Two for the Money from 9PM to 8:30PM. Gleason was adamant that Stage Show be placed just before or just after The Honeymooners. CBS could, if it desired, pay out between $350,000 and $400,000 in accordance with Stage Show‘s contract . The reason CBS wanted to shuffle its Saturday schedule was simple: ratings. Stage Show and The Honeymooners were being handily beaten by NBC’s The Perry Como Show, which aired from 8-9PM. By moving The Honeymooners to 8PM, cancelling Stage Show and adding Joe and Mabel the network felt it could better compete with NBC. But Stage Show‘s sponsor, the Nestle Company, didn’t want to end the show and take on Joe and Mabel. Nestle was willing to swap time slots but CBS was contractually bound to the P. Lorillard Company to follow The Honeymooners with Two for the Money . After several weeks the stalemate was broken when the P. Lorillard Company agreed to switching The Honeymooners with Stage Show while leaving Two for the Money at 9PM . Lost in the shuffle was Joe and Mabel, which had no sponsor and no time slot. Still, CBS was behind for the series. On February 3rd, while the conflict between CBS and Jackie Gleason was still underway, The Los Angeles Times ran an article about Joe and Mabel. According to the article, CBS pulled Joe and Mabel from its 1955-1956 schedule not because of concerns over a lack of episodes but because “the show just wasn’t very entertaining” and “had gotten off on the wrong foot” . So, the six finished episodes were “scrapped” and Alex Gottlieb brought in. Gottlieb was originally set to work on Meet Millie but CBS instead asked him to help restart Joe and Mabel . Said Gottlieb of stars Larry Blyden and Nina Talbet: “They have the personalities and the sense of comedy playing to make them stars” . By February 1956, ten episodes of the new Joe and Mabel were completed. Gottlieb and another scriptwriter were responsible for writing them all. In early March, CBS began looking for a program to replace The Johnny Carson Show, broadcast Thursdays from 10-10:30PM. The show’s sponsor was dropping it at the end of the month. Joe and Mabel was considered a possible candidate for the Thursday time slot . In mid-March, however, CBS announced that The Arthur Murray Party would replace The Johnny Carson Show . Despite sinking some $600,000 into Joe and Mabel, scrapping six episodes and sitting on thirteen others, CBS just couldn’t find a place for it. Then, in late April, Joe and Mabel was finally given a time slot and a sponsor. It would take over for The Guy Lombardo Diamond Jubilee Tuesdays at 9PM beginning June 19th. That show’s sponsor, Pharmaceuticals, Inc., would also sponsor Joe and Mabel . 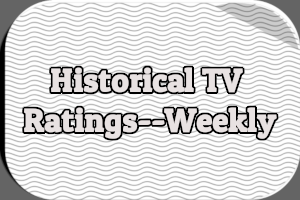 However, the series actually debuted the following week, on June 26th. To help promote the show, star Nina Talbot dropped by the office of television critic Walter Ames, of The Los Angeles Times, to give him a manicure and chat about her series. Joining Larry Blyden and Nita Talbot in Joe and Mabel were Luella Gear as Mrs. Spooner (Mabel’s mother), Michael Mann as her little brother Sherman, Shirl Conway as her friend Dolly, and Norman Fell as Joe’s friend and fellow cab driver Mike. 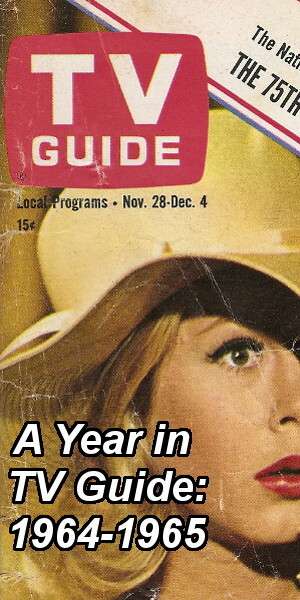 All 13 episodes were broadcast on CBS during the summer of 1956, with the final episode airing Tuesday, September 25th. The show was pre-empted once, on August 21st. Plots were simple: in one episode, Mabel’s cousin came to visit. Hilarity ensues. In another, after Mabel wins a vacation to Florida, Joe drives her south and the two take a wrong turn. Hilarity ensues. Joe gets a small part in a movie. Hilarity ensues. Mabel takes voice lessons without telling Joe. Hilarity ensues. In the final episode, Joe becomes even less thrilled at the prospect of proposing to Mabel after one of her friends gets married. On September 13th, as Joe and Mabel was wrapping up its first and only season, the House Antitrust Subcommittee held its first hearing on television broadcasting. New York’s Emanuel Celler was chairman. Testifying at this hearing were the four companies that made up the Association of Television Film Distributors, Inc. (Screen Gems, Inc., Television Programs of America, Inc., Ziv, Inc. and Official Films) . When asked to give an example of a network refusing to put an independent production on its schedule in favor of a program it has profit participation in, Ralph M. Cohn, vice president of Screen Gems, explained that his company had tried to sell You Can’t Take It With You to CBS. They had an (unnamed) advertiser lined up but CBS, calling the show “unacceptable,” placed Joe and Mabel in the time slot the sponsor was interested in . Unfortunately for CBS, by dismissing Screen Gems and You Can’t Take It With You, the network set off a lengthy chain of events that began with the network scrapping six expensive half-hour episodes, included a public battle with Jackie Gleason, and ended with Joe and Mabel, for all intents and purposes, being burned off during the summer of 1956. In retrospect, maybe CBS should have aired You Can’t Take It With You. It certainly couldn’t have gone worse for the network. 1 Dunning, John. On the Air: The Encyclopedia of Old-Time Radio. New York: Oxford University Press, 1998. Page 372. 3 Ingersoll, Leslie. “Lament for ‘Joe and Mabel’.” New York Times. 4 Oct. 1942: X8. 4 Adams, Val. “News of Radio and Television: Big Plans.” New York Times. 22 May 1955: 137. 5 “Film Studio Here Engaged By C.B.S.” New York Times. 8 Jul. 1955: 43. 6 “TV Films Halted By Actors’ Strike.” New York Times. 6 Aug. 1955: 31. 9 Adams, Val. “Press Club Here to Aid Video Show.” New York Times. 8 Aug. 1955: 41. 10 Smith, Cecil. “Tennis Dazzling in Color; Silvers Show Should Be Comedy Hit.” Los Angeles Times. 29 Aug. 1955: 28. 11 “WABD May Present Televised ‘Othello’.” New York Times. 20 Sep. 1955: 63. 12 Adams, Val. “News and Notes Gathered from the Studios.” New York Times. 9 Oct. 1955: X15. 13 Shepard, Richard F. “9 Young Writers Found by N.B.C.-TV.” New York Times. 5 Nov. 1955: 39. 14 Shanley, J.P. “Gleason Airs Rift About Show Times.” New York Times. 29 Jan. 1956: 80. 17 Adams, Val. “Gleason Posing Problem to C.B.S.” New York Times. 30 Jan. 1956: 53. 18 Adams, Val. “Gleason Program Will Change Time.” New York Times. 10 Feb. 1956: 45. 19 Gaver, Jack. “CBS Has High Hopes for New TV Series.” Los Angeles Times. 3 Feb. 1956: B8. 22 Adams, Val. “Lombardo is Set for New Series.” New York Times. 2 Mar. 1956: 49. 23 Adams, Val. “Ford May Cancel Coward TV Show.” New York Times. 12 Mar. 1956: 38. 24 Shepard, Richard F. “Postponed Series to Have TV Trial.” New York Times. 28 Apr. 1956: 25. 25 Ames, Walter. “Ship Replica Ready for Series; Bananas Lead to TV Role.” Los Angeles Times. 11 Jun. 1956: B10. 26 Gould, Jack. “TV Review: ‘Joe and Mabel’ Makes Inauspicious Debut.” New York Times. 27 Jun. 1956: 63. 27 Shepard, Richard F. “House Unit Hears TV Film Charges.” New York Times. 14 Sep. 1956: 47. “YOU CAN’T TAKE IT WITH YOU” briefly appeared as an early Sunday evening radio show on NBC in the summer of 1951, with Walter Brennan as the star. A TV version finally made it to syndication in the fall of 1987, with Harry Morgan as the patric-arch of the family, lasting just 22 episodes. The very first time I saw Nita Talbot was in a tv. sitcom with Nita and two fellows. I cannot remember the name of the show or the other two fellows, but it seemed to me after all these years that they were writers either for a newspaper or comedy shows …..It was a very small office and whenever Nita ‘s character needed to use the restroom, she had to turn the sign that said “men” up so that it would read “Ladies” before she would go in. This had to be in the 1950s Anyway, I think she is a great comedian, and I have tried to keep track of her career ever since. You may be thinking of “The Backus Show”. 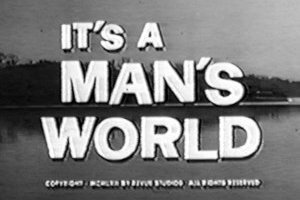 It was a syndicated show that ran for one season in 1960-1. Yes, it is the same Larry Blyden. Blyden was hurt in an auto accident in Morocco on May 31st 1975 and died several days later after an operation had failed to save his life.